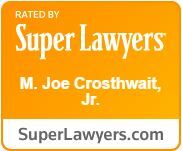 Midwest City Law Firm, The Crosthwait Law Firm A Professional Corporation | The OkPOLST Form - What Is It? Home / Blog / The OkPOLST Form – What Is It? The Oklahoma Physician Orders for Life-Sustaining Treatment – or OkPOLST – form is designed for patients who are seriously ill with life-limiting conditions and irreversible illnesses, including those who are frail and elderly. There is no age limit as the patient having capacity can sign or the patient’s legal health care representative may sign on their behalf. It documents and directs a patient’s medical treatment preferences. www.OKPOLST.com provides that the OkPOLST form is used as part of the health care planning process and is complementary with advance directives. In addition, the OkPOLST form is a physician’s order that specifically outlines a patient’s medical treatment wishes and health care goals. As a physician’s order, it should be honored by all health care professionals. Also, because the OkPOLST form becomes part of the patient’s medical record, it travels with the patient across all health care settings. It is a standardized form that is easily identified by patients, their loved ones, and their health care providers. The OkPOLST form should be used in conjunction with an advance directive prepared by an attorney to ensure that your treatments wishes and health care goals are carried out. Contact the experienced estate planning attorneys at The Crosthwait Law Firm today to discuss planning for your specific needs and goals.